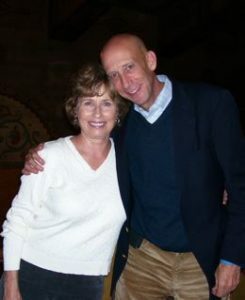 Mike Dooley in Portland, Oregon * Martha Anne St. Claire, M.A. 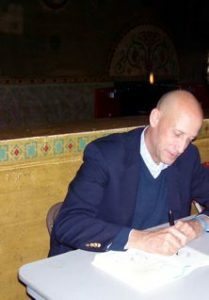 I recently went to hear author Mike Dooley speak at the historic Bagdad Theater in Portland. Some of you may know of Mike through his current bestseller, Infinite Possiblities or from his free emails called “Notes from the Universe “, which always seem to be speaking just to me! (Amazingly, many say the same thing). It was a pleasure to meet Mike as he signed books and also to hear him lecture; he’s wise, warm, and infinitely witty…. Know that the angels love you and are with you right now and that no matter what you may be experiencing, you are more loved and cared for than you likely know. We are never alone. You are so very, very loved and adored! Take heart, dear one, take heart..